The greatest live band of a generation playing the soundtrack of my youth from start to finish. Andrea was on board with going to the show–she’s a big fan, too. But what invited her claim of insanity was my insistence that we take the whole family to Seattle to see the show. We live in Charleston. South Carolina. Do you live in fear of your email inbox? It is such an effective tool for information exchange that it can render us completely ineffective in our attempts to control it. I fear that I’m going to miss the proverbial wheat because of all the darn chaff overstuffing my inbox. You, too? Well, apparently we’re in good company. As a student of behavioral economics and finance, my ears always perk up when behavioral economist Dan Ariely has something to say. He struggled so much with managing the daily email harvest that he decided to create two apps, one that helps people send him better emails and another that helps him prioritize the emails he receives. Parents have sacrificed their financial futures on the altar of their children’s education. Fueled by easy federal money and self-interested colleges, the result is a student loan crisis that appears already to be eclipsing the catastrophic proportions of mortgage indebtedness leading up to the financial collapse of 2008. I’m not anti-education. In fact, I valued my college education so much that I went back to teach at my alma mater, Towson University, for seven years. I believe that a college education is a) inherently valuable, b) an enhancer of career prospects and c) fertile ground for unforgettable life experiences beyond the classroom. I’m a parent. I’ve encouraged my two sons, 13 and 11, to strive for a college education, and I’ve also offered to share in the financial burden. I’m not a prognosticator. Therefore, I’m not predicting an imminent crisis akin to the Great Recession, led by student loan defaults. Crystal balls don’t work, and anyone who claims to have one is selling something. Just for fun, Google the words “market pullback.” There are over 2.2 million results–most of them market predictions–and the first page of results is dominated by calls for an imminent market reversal that the simple desk calendar has already proven false. First, there’s a clear profit motive. Apparent urgency leads to activity, and activity is still how most of the financial services industry makes its money. “Bullish predictions encourage investors to pour fresh money into the markets, helping asset management companies to enjoy rising profits,” the New York Times reported, noting that the Wall Street forecaster’s consensus since 2000 has averaged a 9.5% increase each year. They accidentally got it (almost) right in 2016, but in 2008, the consensus prognostication missed the mark by 49 percentage points (an outcome that makes your local weatherman seem like a harbinger of accuracy)! Because personal finance is more personal than it is finance, just about every step we take in our personal development aids us in financial planning, and vice versa. It is in better understanding ourselves that even the most confounding financial decisions are made simple. Therefore, it’s entirely possible for a seemingly non-financial book to have a meaningful impact on your financial life, while the reverse is also true. 5) The Whole 30: The Official 30-Day Guide To Total Health And Food Freedom is not your typical diet book. I don’t do those. But I am fascinated by various “life hacks,” small behavioral changes we can make in our diet, exercise and sleep patterns that make life more livable. There are two glaring reasons: poor investment decisions and greedy assumptions. 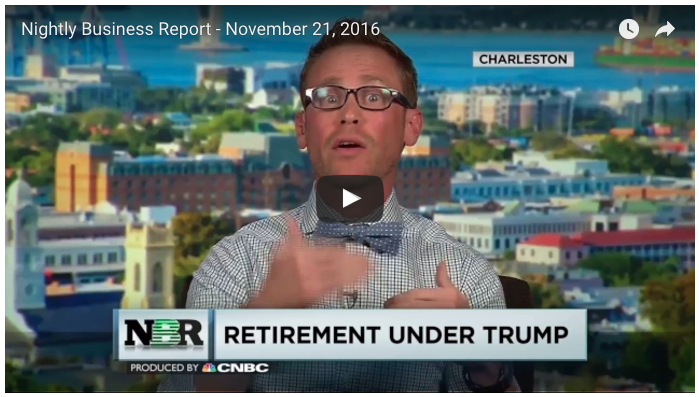 Advisors to President-elect Donald Trump have been vocal about rescinding the Department of Labor’s new fiduciary rule, introduced earlier this year to protect retirement savers from advice that isn’t fully in their best interests. The rule has already been under fire from the securities industry, and lack of presidential support could spell its ultimate demise. As someone who has worked on both the fiduciary and non-fiduciary sides of the industry, I think revoking the rule is a bad, even dangerous, move. My rationale for such a position starts with my experience, early in my career, at one of the nation’s largest insurance companies. “Look, you can set up your business any way you see fit after you’re successful. But right now? With a young family? You need to put yourself and your family first, and that means selling A-share mutual funds,” said my sales manager. In other words, you must put your interests ahead of your clients’. Fiduciaries are required to put their clients’ interests ahead of their own. As a brand new financial advisor, I was having a heart-to-heart with my supervisor after laying out my plan for creating a fee-based business within the agency, which would have meant recurring revenue for the firm but apparently in much smaller increments than were preferable. “A-share mutual funds” are a variety with some of the largest up-front commissions—for both the salesperson and the company they represent. Variable annuities were even better, generating more of a “front-end load.” Whole life insurance was the pinnacle of up-front commissions. In the newbie bullpen, we were encouraged to sell in various and sundry ways. The general agent in charge of the Baltimore metro area—the self-proclaimed “big dog”—was, indeed, a large man. A former starting lineman for a recognizable college football team, I’m quite sure that he routinely watched the classic Alec Baldwin “motivational speech” from Glengarry Glen Ross (turn the speakers down if you’re at work or children are nearby). You’re no fool. But let’s imagine for a second that a major public figure said something—something false—over and over (and over) again. Regardless of its questionable veracity, is there a chance you’d be more likely to believe the proclamation simply because you’ve heard it often and recently? Nonetheless, the availability heuristic’s power to persuade is not lost on marketers, salespeople, lobbyists and politicians. They use it on us all the time. But let’s explore the errant biases in investing, in particular, that while readily available often lead to sub-optimal outcomes. The debate rages (and no doubt will continue to do so) over whether active stock pickers are able to beat their respective benchmark indices. The implications seem simple: If fee-charging money managers aren’t persistently outperforming their benchmarks, we likely should not be paying them for underperformance, right? I don’t watch reality television contests, because as a rule, the best participants rarely participate and when they do, they almost never win. Whether the over-commercialized, profit-over-art system is to blame—or the television audience, or both—I’d rather not suffer the invariable disappointment of an unjust outcome. But quite randomly, a 12-year-old ukulele player named Grace VanderWaal, inspired me to break my own boycott. On our way to another channel, my family stumbled on America’s Got Talent a few months ago just in time to see one of my favorite instruments—the ukulele—adorning the neck of a diminutive blond girl. “Wait a second,” I said. She’s clearly overwhelmed just to be there. “It’s crazy,” she says, as her voice cracks in response to the judges’ welcome.